Product information "20 x Rothaus Black Forest Maidle 0,33L 5,1% vol. 2 x 10er original box"
This natural beer is brewed according to the historical model. Like all Rothaus beers with our soft brewing water, quality malt from the region and aroma heads from Tettnang and the Hallertau. Related links to "20 x Rothaus Black Forest Maidle 0,33L 5,1% vol. 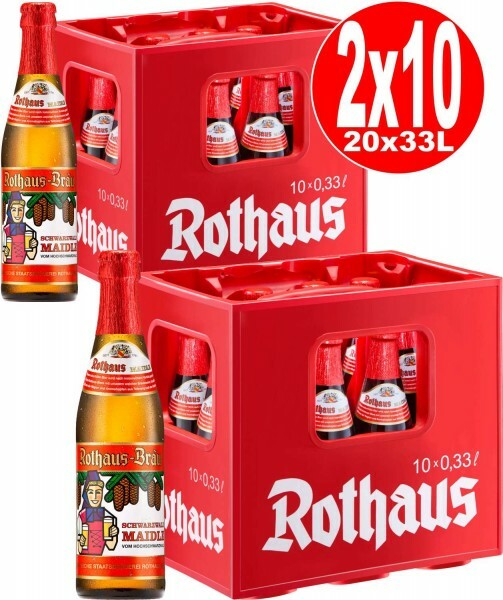 2 x 10er original box"
Customer evaluation for "20 x Rothaus Black Forest Maidle 0,33L 5,1% vol. 2 x 10er original box"